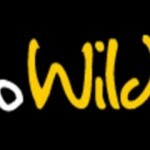 Go Wild Casino is powered by Microgaming software; known to be the best and used by some of the most reputed casinos around the world. It has been around for several decades and is therefore able to gauge the feelings of their players and keep tweaking and developing their software to suit the most intricate of games in order to bring the best of gaming to their loyal fans. 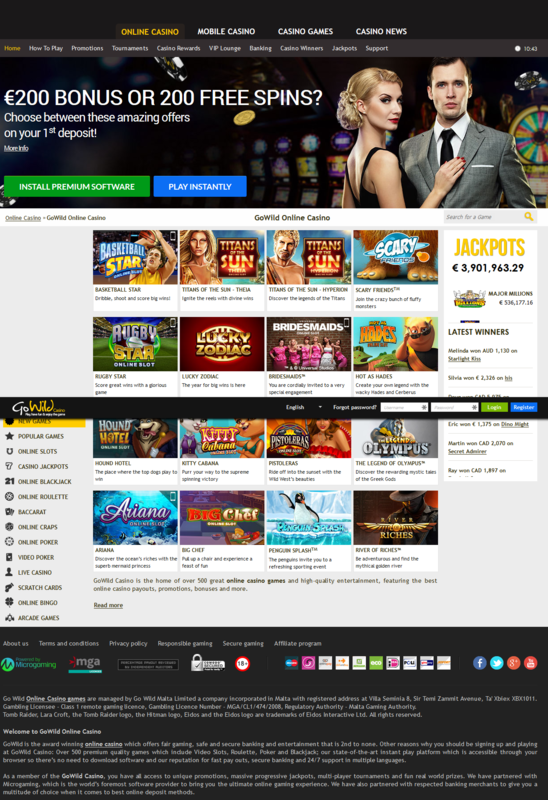 Microgamings' ability to come up with extraordinary graphics and provide a quality service for their clients has no doubt enhanced their reputation to such an extent that any gambling site that uses their software is bound to come out tops as it has been with Go Wild Casino. Protecting player privacy is very important to Go Wild Casino and they ensure this by using an encryption service that protects confidential information and banking details of their members so that no unauthorized person can hack the site to gather information. They also believe in giving a grand welcome to their new members by offering a unique bonus system that is hard to refuse. 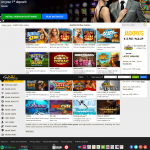 Besides the bonuses granted for the first three deposits you make, you will also be offered free spins on a selected slots plus loyalty points all of which has turned out be great incentives to newcomers. Unlike other casinos, Go Wild Casino also has innovative methods to celebrate the anniversary of joining their club which they celebrate by offering players extra bonuses. All details regarding special promos and referrals are provided on their website and if you’re smart enough to get your friends to join the club, you will be further rewarded with extra credits while your friends are treated in the same manner once they meet the necessary requirements. As you can imagine, such a prestigious casino will not be without a VIP section where the best and brightest of players are awarded Club points much faster than any regular player so that these points can be converted into credit to play more games. VIP Club members are also benefited by being allowed to participate in tournaments, given gifts on their birthday, and a fast pay out system where the winning can be taken out within 24 hours. 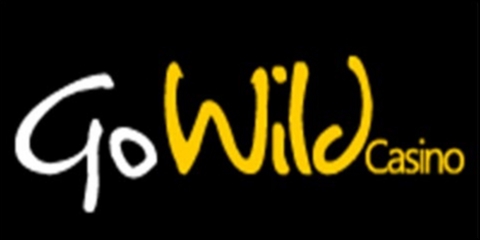 Games at Go Wild Casino can be played online in the flash format or downloadable and has more than 350 games on their repertoire. They are famous for their progressive jackpots while their slots are very impressive to say the least. The professional player will be happy to hear that there are various tournaments he can take part in weekly while table games such as Baccarat, Craps and Keno made available at the Go Wild Casino will provide the most thrilling experience he ever had at any site. 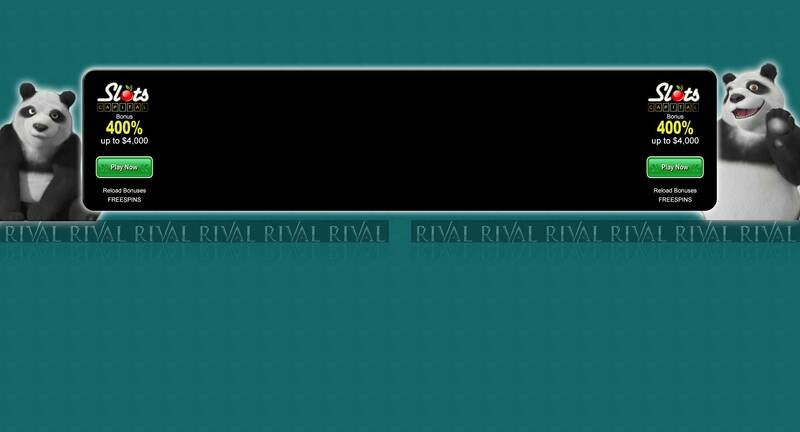 This casino offers a nice welcome bonus and I took the full amount + the freespins.